Our Center for Sleep Medicine serves both children and adults who are looking for a sleep evaluation or treatment for a diagnosed sleep ailment. Sleep problems not only affect daily activities and lifestyle, but can be associated with, or lead to, other medical conditions such as high blood pressure, premature heart disease, and stroke. If you are a loud, habitual snorer, feel tired and groggy on awakening, experience sleepiness and fatigue during waking hours, are overweight, or tend to choke, gasp, or hold your breath during sleep, you may be suffering from an undiagnosed sleep disorder. Our center is accredited by the American Academy of Sleep Medicine in recognition of our outstanding level of patient care. The Center for Sleep Medicine offers comprehensive, state-of-the-art diagnostic services in our overnight facility to identify sleep disorders. We also offer a variety of noninvasive, nonstressful treatments to allow patients to return to restful sleep patterns. We specialize in sleep apnea, as well as periodic limb movement syndrome, narcolepsy, and insomnia. Sleep apnea is the most common sleep disorder. Affecting more than 20 million Americans, sleep apnea is a condition in which a person actually stops breathing due to an intermittent blockage in the windpipe. The breathing obstruction forces the oxygen-deprived sleeper to repeatedly awaken with a cough or gasp to reopen the airway. This disruptive cycle repeats hundreds of times each night, causing progressively disturbed, restless sleep. Symptoms of the disorder include loud, habitual snoring and extreme daytime sleepiness. Sleep apnea has other medical consequences such as depression, mood change, memory loss, weight gain, impotency, and headaches. Associated risks also include heart attacks, stroke, hypertension, irregular heart rhythms, heart failure, and sudden death. Proper treatment can improve cardiovascular outcomes. Nasal congestion or blockage, from cold, sinusitis, allergies, smoking, etc. Periodic limb movement syndrome, which often coexists with sleep apnea, causes people to repeatedly awaken to involuntary thrashing movements, most typically of the legs. The center can record a patient’s leg muscle movement to diagnose this disorder. Less common than sleep apnea, narcolepsy is a genetic sleep disorder that causes excessive daytime sleepiness that can seriously interfere with a person’s ability to function properly. The Center for Sleep Medicine tests for this condition using a multiple sleep latency test (MSLT). Conducted during the day, this test can objectively measure excessive daytime sleepiness to make a definitive diagnosis. Often resulting from anxiety or stress, insomnia may occasionally reflect a sleep disorder. The center can perform tests to determine if the cause is insomnia. 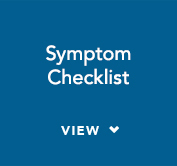 Take a moment to assess your symptoms for a sleep disorder. If you answered “yes” to any of these, you may have sleep apnea or another sleep disorder. Untreated sleep apnea can result in serious health consequences over time. These include increased incidence of stroke and sudden death, high blood pressure and heart disease, depression and anxiety, and type 2 diabetes. Sleep apnea is also a major contributor to car accidents, as sleep-deprived drivers have up to a 15-fold greater risk of accidents. Studies have associated sleep problems with an increase in cardiovascular risk including heart attack, hypertension (high blood pressure), stroke, irregular heart rhythm, heart failure, and even death. Unfortunately this linkage is often unrecognized or ignored. Proper treatment of sleep disorders can improve cardiovascular outcomes. 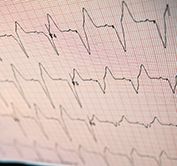 Untreated, sleep problems can also lessen the effectiveness of cardiac treatments. The following are symptoms and/or risk factors of a possible cardiovascular disease: chest discomfort (pain, pressure), shortness of breath, exercise intolerance, a family history of heart disease, high blood pressure, high cholesterol, diabetes, smoking, excessive weight, snoring and other sleep disorders. Women are less likely than men to report sleep problems like snoring and less likely to be treated for sleep disorders and cardiovascular disease. You can lower your risk for cardiovascular disease by quitting smoking, controlling high blood pressure, lowering cholesterol level with proper diet and medication, losing excess weight through exercise, and treating sleep disorders. While mild sleep disorders may be evaluated through a consultation with a physician specializing in sleep medicine, patients experiencing more severe disorders may require an overnight stay at our Center for Sleep Medicine to allow for careful and extended monitoring. The center collaborates with specialists in pulmonary medicine, pediatric pulmonary medicine, neurology, otolaryngology, psychiatry, and obesity to ensure optimal patient-centered care. Highly qualified registered polysomnographic technologists also participate in the center’s diagnostic evaluations. Overnight stays can be arranged any night of the week, including weekends. The center is equipped with six suites. Each spacious, hotel-sized room is outfitted with a full-sized mattress and a private bathroom to make your stay feel as close to home as possible. 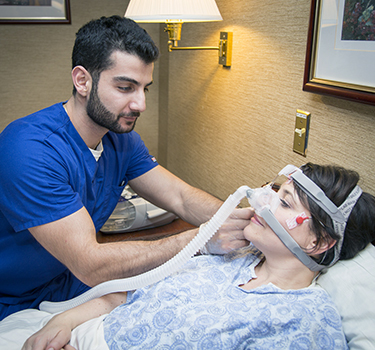 To diagnose sleep apnea, the center offers a highly specialized test called a nocturnal polysomnogram (NPSG), which evaluates a patient’s sleep patterns during an overnight stay. To perform this noninvasive test, a skilled technician positions small sensors at various points on the body to continuously measure and record brain waves, eye movements, heart rhythms, muscle activity, breathing patterns, respiratory effort, body positioning during sleep, and recording of leg muscle movement to diagnose leg movement disorders. This test provides highly reliable information on excessive snoring, daytime sleepiness, unexplained headaches, and severe airway obstructions. If appropriate, home sleep testing can be performed for an in-home evaluation of OSA. Once the test is complete, a board-certified sleep specialist interprets the results, confirms a diagnosis, and works with the patient’s physician to develop a treatment plan. We also offer evaluations for narcolepsy and excessive daytime sleepiness through a multiple sleep latency test (MSLT) and a maintenance of wakefulness test (MWT) as needed for fulfillment of CDL requirements. PAP-NAPs are also available after the start of treatment for diagnosed sleep apnea to address any issues or concerns patients may come across that can hinder successful treatment. 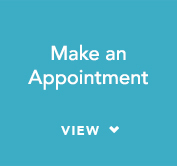 You must have a referral from your primary care physician or another physician to make an appointment. If you do not have a referral, call our center at 201-894-3154 and you will be referred to one of our highly skilled sleep specialists. You will then need to have an office consultation to receive a referral. Prior to your scheduled appointment, please take some time to complete this questionnaire. This will help the physician evaluate your test results. Please bring this completed form with you on the day of your appointment. If a diagnosis for sleep apnea is made, a course of treatment will be prescribed. The goal is to keep your airway open so that normal breathing can be maintained throughout the night. Depending on your condition and preference, this can be accomplished a number of different ways. One of the most effective treatments available through the center is continuous positive airway pressure (CPAP), a noninvasive, comfortable therapy that can provide immediate relief. You will wear a mask over your nose during sleep. Gentle pressure from an air compressor forces air through the nasal passages and into the airway, holding it open so you can sleep and breathe normally during sleep. Other treatment can include medication, such as certain decongestants, permanent weight loss when weight is a contributing factor, or, in extreme cases, surgery. Losing weight often improves breathing during sleep, enabling the patient to sleep more restfully with less likelihood for daytime sleepiness. Avoiding alcohol within two hours of bedtime. Alcohol depresses breathing and increases the risk for sleep disturbances. Avoiding sleeping pills, which depress breathing. Sleeping on one’s side, not on the back. The center is staffed with specialists in pulmonary medicine, pediatric pulmonary medicine, neurology, otolaryngology, psychiatry, and obesity. Registered polysomnographic technologists also participate in the center’s diagnostic evaluations.